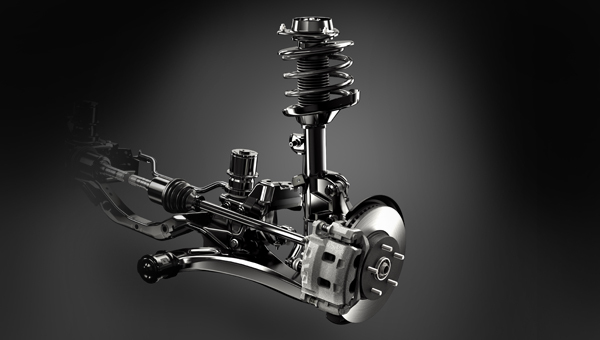 The starting point for a high-performance suspension isn’t in the design of the system at all — it’s a highly rigid frame that sets the stage for a suspension system with the perfect blend of handling, comfort and control. 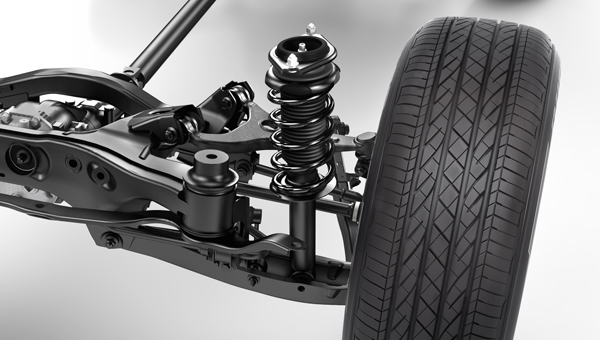 Once the rubber hits the road, the level of sophistication of the suspension is critical to a given vehicle’s ride quality and handling. The ultimate goal: keeping the wheels planted firmly to the road to optimize power delivery, enhance ride comfort and maintain control at all times. The 4-wheel fully independent suspension system was originally engineered and fine-tuned over decades of motorsport competition. 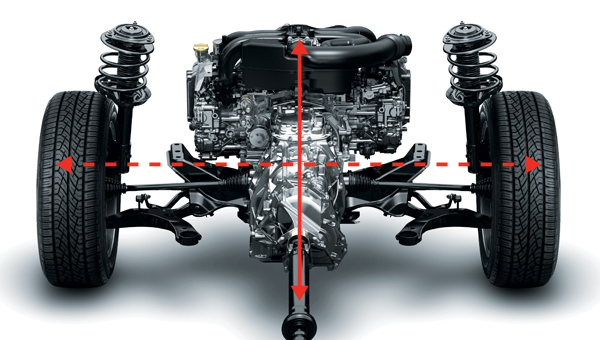 The design incorporates lightweight components and sees each driven wheel attached to a driveshaft through its own long axle shaft that allows the wheel to move independently, reducing the angle required to absorb bumps in the road and maintaining tire contact on uneven surfaces. This, in turn, creates greater comfort, safety, stability and control. The axle shafts are also equal in length, eliminating torque steer, reducing strain and binding on the constant velocity joints, and improving the efficiency and durability of components. 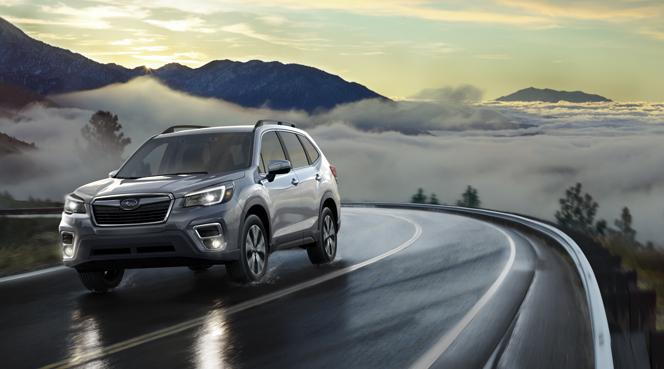 The Subaru MacPherson strut-type front suspension system is significantly more rigid than conventional front-strut systems, which helps slash noise, vibration and harshness — more importantly, it delivers superior handling. This design is strengthened further by the cradle frame mounting, which also improves steering response. An L-shaped lower control arm is incorporated to allow for a smaller turning circle, creating greater manoevrability. On performance models, this control arm is made of aluminum to reduce unsprung weight and deliver even better handling characteristics. All vehicles also feature a wide track, which aids in creating added stability. The double-wishbone rear suspension handles rough roads and sharp corners with equal composure, ensuring maximum contact with the road while isolating passengers from harshness at the same time. 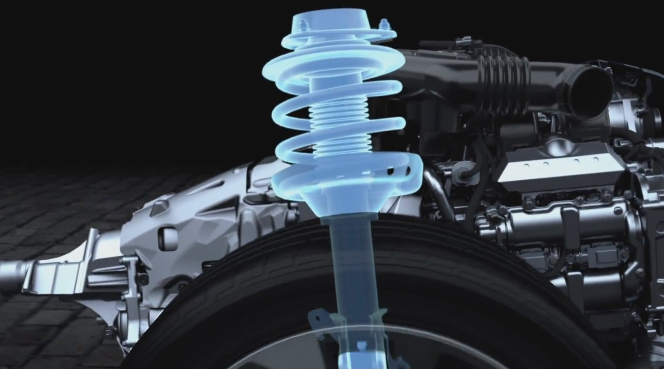 This suspension design provides a more stable, comfortable and planted feel because it offers more control over the degree to which the rear wheels tilt in and out in the corners. The double-wishbone rear suspension is also flatter and more compact, so the components don’t intrude into the cargo area, increasing useable space for those more adventurous adventures.